We have an exciting opportunity for a Mandarin speaking General Practitioner to join the team in a highly respected, large family run practice in the Metropolitan city of Auckland. 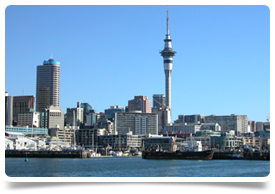 It is also nicknamed “The City of Sails” due to the popularity of sailing in the region is situated in the North Island of New Zealand and is the largest and most populous urban area in the country. If you are interested and keen to hear more about this exciting opportunity, some other positive aspects of Auckland life is it's mild climate.